Mammalian bone marrow is host to an active stem cell population with the responsibility of maintaining and replenishing a variety of high turnover cells that are vital for survival, regeneration, and support of the rest of the body. The major outputs of this hematopoietic system are the erythrocytes and platelets of the blood and the granulocytes and macrophages of the immune system. These stem cells also give rise to antibody-producing B-lymphocytes and antibody-producing T-lymphocytes that consume foreign or inflammatory substrates in the body. As all of these substituent cell types have a very limited life span, they must be constantly and consistently replenished. This rapid turnover of up to 100 billion new cells from progenitors forms the hematopoietic system (Mohammadi et al. Int J Stem Cell Res Transplant, 2014 2(02), 59–62). 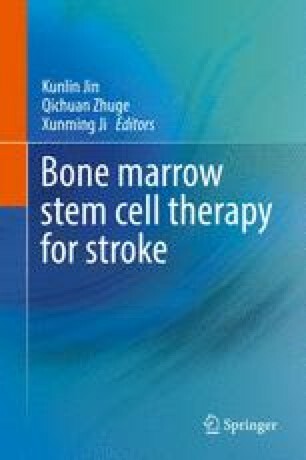 In recent years, bone marrow hematopoietic stem cells have drawn increasing attention for their therapeutic potential used in cell transplantation therapy for neurological disorders including stroke and traumatic brain injury. This review article is to summarize recent progress in basic and preclinical investigations on these cells including hematopoietic and mesenchymal stem cells.